Tom Luxton turns 81 in 2018, but he’s only recently developed his special relationship with horses. He and his wife both grew up “farm kids”—he in South Dakota, she in Minnesota—and their families kept work horses. Now, it’s a different world. Things changed about seven years ago. The Luxtons’ Minnesota home farm has six stalls and a French-style house on ten acres. They made improvements, and that included buying horses. “We got one horse, Song of Summer; Donna, as in Donna Summer, is her stable name. We didn’t realize when we got her that she was pregnant, mid-July/August,” Tom continues. 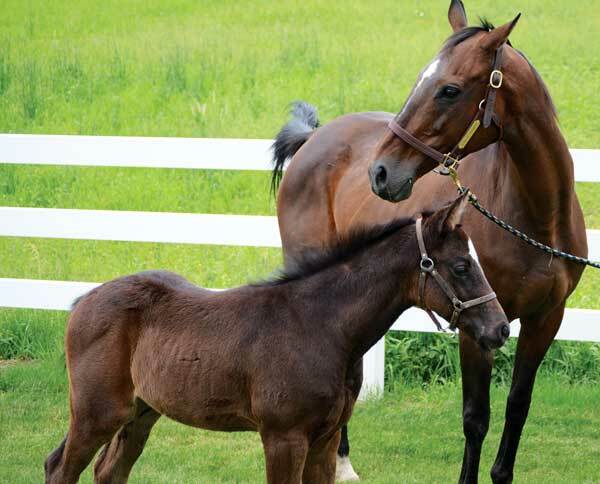 “In January, we were looking to have a little one, and took her to a foaling stable. The manager there named her Sassy because she’s got an attitude.” Sassy is now in Arizona, running track for the rest of the 2018 season, stabled along with Goldie and Prince, who is the only boy (jockey name You’ve Got the Look, another pop music reference). 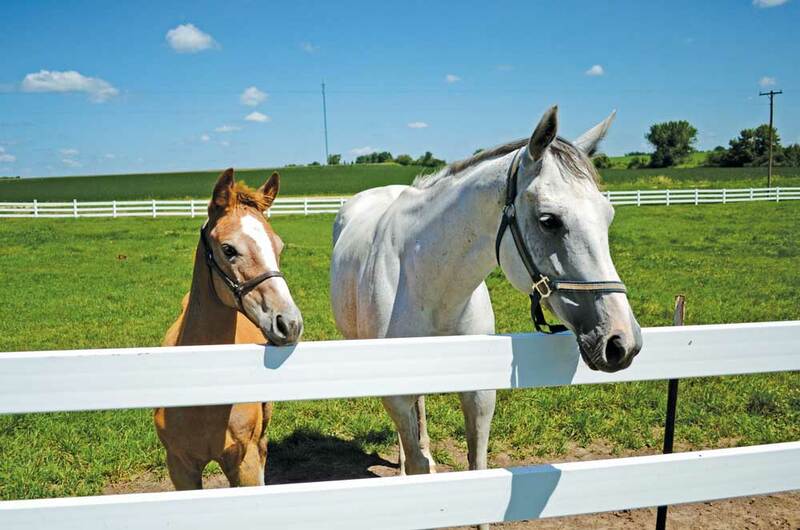 As needed, the Luxtons send mares to their Minneapolis foaling barn. The balance of their horses reside at the home farm. “That’s where we use Aspen Gold,” Tom says. Tom feels a true commitment to his horses. “From the day they’re born ‘til they die, they’re part of the family,” he said. “They love. They remember me and know my scent. They recognize me.” There’s an even deeper connection between the horses and the women at the farm, and Tom’s absolutely fine with that. 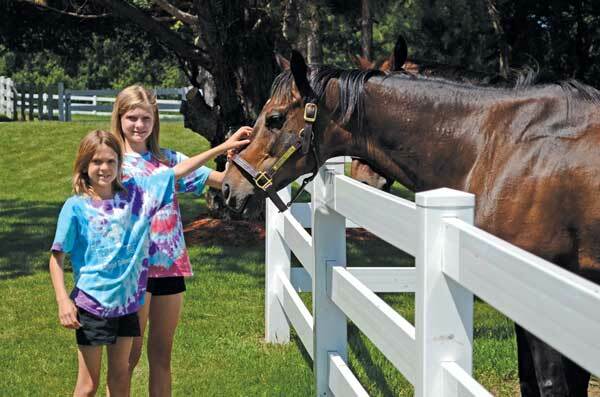 “Karen (Tom’s wife), Amber (who works in the stables), and Amber’s little girl, Emma—the horses love them. We’ve got a horse that we call Major—she has a major attitude. Spacey, she’s another one. Those two horses stand there and let little Emma rub them and put her arms around them. They understand love and they show it back,” he explains. As published in EquineMonthly, April 2018 issue. Learn more about Aspen Gold.